For a long time, healthcare institutions’ patient accounting systems were rooted in the fee-for-service revenue model, an approach wherein patient payments depended on the quantity of care, rather than quality of care. Thus, the billing volume directly corresponded to clinical transaction volume. Today, this scenario has undergone a momentous change with the healthcare industry traversing toward value-based care. Despite the shift to a fee-for-value approach, the disjointed systems in place make it quite taxing for billing departments to collect all the necessary clinical information to appropriately derivate the ‘value’ obtained from healthcare. “In the face of these challenges, a clinically driven revenue cycle is the silver bullet that is needed to improve RCM performance and prepare for value-based care,” says John Goforth, Avelead’s Managing Director. This is where Avelead’s forte lies. By leading the implementations of revenue cycle management solutions which coalesce clinical, financial, and operational data within a single, integrated platform, Avelead delivers improved value in terms of both financial and clinical outcomes. Avelead employs a reliable process-based, tools-based, and metric-based methodology, coupled with leading-edge technology tools to implement a clinically driven revenue cycle system for multi-hospital acute and ambulatory health systems. “Our precise methodology identifies a healthcare organization’s requirements and challenges to develop a focused project plan. Once the plan is vetted by our expert team of clinical, financial, and technical project managers, we provide tools to execute the plan,” describes Goforth. This blend of strong leadership, proven methodologies, and innovative technology has helped Avelead in winning a large, satisfied consumer base in the RCM landscape. A major breakthrough for Avelead has been their exceptional technical services: building HL7 interfaces, performing data conversion, and migrating clinical and patient demographic data. Goforth notes that to implement error-free and on-time projects, using updated and synchronized master data files is extremely crucial. Achieving this often requires multiple data conversions across both new and legacy platforms. With this technical expertise and EMR implementation experience, Avelead developed its Master Build Automation Tool (MBAT) platform which efficiently takes charge of those data synchronization hurdles. Additionally, Avelead’s Data Comparison Engine (DCE), Workflow Data Manager (WDM), and Revenue Identification (REViD) system effectively support in identifying data conversion discrepancies and revenue leakages. Avelead’s guiding principle—“Leadership. Technology. Results.”—that strongly outlines the DNA of the company suggests that success of a revenue cycle project cannot be measured just by the act of going live; rather it should be evaluated based on the results of the implementation. This is where the company’s Revenue Neutrality Analytics (RNA) comes into play. Utilizing RNA, Avelead’s audit team examines the projected revenue vs. the actual revenue to ascertain if the new system and processes match the standards. With the help of these exceptional methodologies and tools, Avelead boasts several client success stories. Elaborating one such narrative, Goforth discusses their collaboration with USA Health’s Unity Project. The vision of the project was to transition five different EMR systems and three different RCM systems into one clinically driven revenue cycle coordinated system that touches every part of USA Health. Witnessing several delays, after 30 months and four ‘go live’ date changes, USA Health decided to take a different approach. With a proven track record of leadership, methodology, processes, and results, Avelead was chosen. By effectively revising the project plan, re-prioritizing tasks, and determining the accurate duration for task completion, Avelead successfully achieved the revised ‘go live’ date. USA Health continues to use Avelead to manage the post-live stabilization and optimization projects. With more than 200 successful projects, Avelead has achieved a preeminent position in the RCM marketplace in a short time span. Goforth credits their strong talent base and unparalleled vision for technology as the secret of their success. 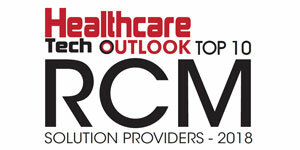 Looking ahead, Avelead intends to continue their drive for innovation to stay ahead of the RCM curve.